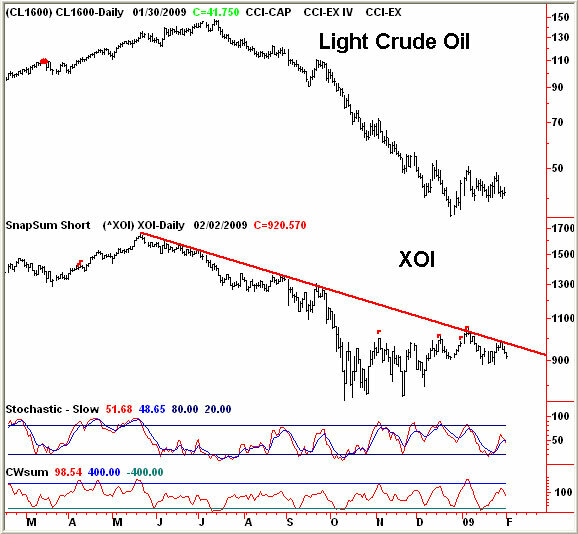 Back in June the crude oil market generated a series of four weekly upside exhaustion alerts followed by monthly signals in June and July. The weekly readings were the first since Iraq’s invasion of Kuwait in 1990 and the monthly was only matched by the major high in 1979. We are now experiencing reciprocal action. 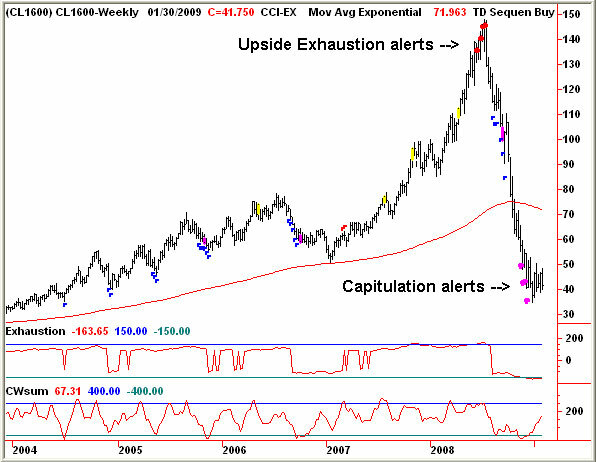 There were four weekly capitulation alerts through December. 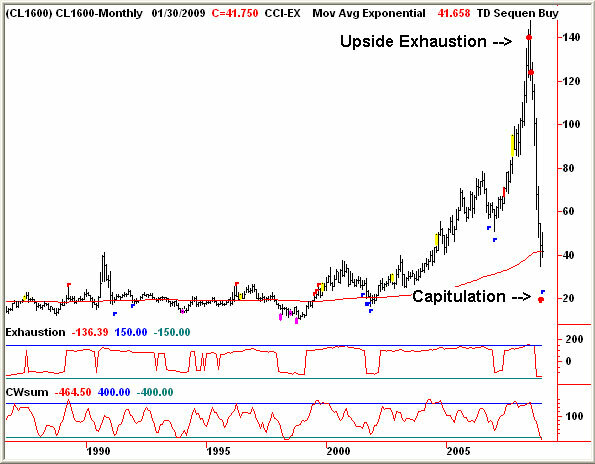 As of last Friday the indicators are triggering the first monthly capitulation alert in over fifty years. The stocks have managed to hold up well since October and a close above January 28th would break the downtrend in the XOI dating back to last May. The period of seasonal buoyancy in the sector following January 20th should be supportive over the next few months.